Beresford Adams are delighted to market this 3 bedroom detached house which has the potential to be turned into a 5 bedroom family home. The property benefits from ample off road parking as well as a single garage. The large rear garden over looks the aqueduct and fields offering lots of privacy. 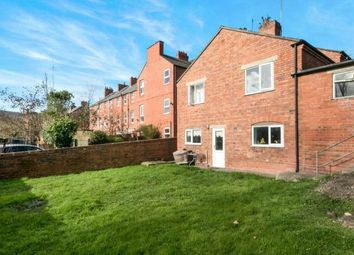 The property benefits from 3 reception rooms one of which can be converted into 2 further bedrooms if required. The property comprises entrance hall, lounge, living room, dining room, kitchen, master bedroom, en-suite, bedroom 2, bedroom 3, bathroom, WC. Landing 20'8" x 15'6" (6.3m x 4.72m). Lounge 22'4" x 14' (6.8m x 4.27m). Double glazed uPVC window. Radiator, carpeted flooring, ceiling light. Master Bedroom 11'7" x 10'1" (3.53m x 3.07m). Double glazed uPVC window. Radiator, ceiling light. En Suite 4'6" x 6'3" (1.37m x 1.9m). Bedroom One 15'3" x 10'5" (4.65m x 3.18m). Double glazed uPVC window. Radiator, ceiling light. Bedroom Two 12'6" x 9'2" (3.8m x 2.8m). Double glazed uPVC window. Radiator, ceiling light. Bathroom 11'11" x 6'3" (3.63m x 1.9m). Double glazed uPVC window with frosted glass. Low level WC, panelled bath, pedestal sink. WC 3'1" x 6'3" (0.94m x 1.9m). Living Room 21'10" x 14'11" (6.65m x 4.55m). Double glazed uPVC window. Radiator, carpeted flooring, ceiling light. Kitchen 15'1" x 11'8" (4.6m x 3.56m). Back, opening onto the garden. Radiator, ceiling light. Roll top work surface, fitted and wall and base units, single sink. Dining Room 15' x 9'7" (4.57m x 2.92m). Double glazed uPVC window. Radiator, ceiling light.